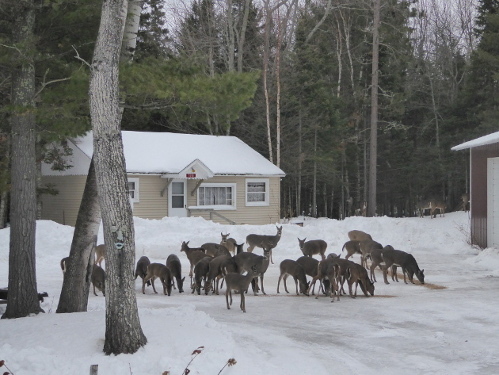 Supplemental deer feeding is still the major club project with club members providing the manpower to obtain and disperse the feed in established deer yards throughout the Keweenaw. Without this supplemental feeding, the severe Keweenaw winters would not sustain adequate deer populations for hunting (a huntable herd) and recreational viewing. 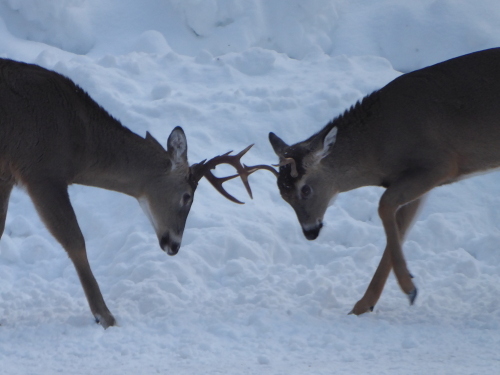 The club is seeking donations for deer feed for the upcoming winter feeding season with starts after Jan 1, 2019. If you would like to donate, please send donations to our PO Box. Please indcate that your donation if for deer feed. Or you can go to Paypal and donate online.